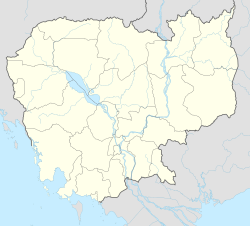 Baray (Khmer: ស្រុកបារាយណ៍) is a district within Kampong Thom Province, in central Cambodia. According to the 1998 census of Cambodia, it had a population of 159,586. ^ General Population Census of Cambodia, 1998: Village Gazetteer. National Institute of Statistics. February 2000. ^ "General Population Census of Cambodia 1998, Final Census Results" (PDF). National Institute of Statistics, Ministry of Planning, Cambodia. August 2002. Retrieved 2010-11-24. See page 110. This page was last edited on 12 March 2017, at 21:50 (UTC).